Marilyn is a former CNN Headline News anchor and a six-time Emmy Award-winning television producer and reporter. 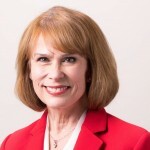 In addition to working with corporate clients and overseeing Speechworks’ media training program, she serves as an adjunct professor at the Georgia Tech Scheller College of Business. Connect with Marilyn on LinkedIn, and get to know more about her and all of our world-class communication coaches at www.speechworks.net/about/.